Okay...You have more Advanced Boating Experience that I have. Those boats you have been are have been in; except for the canoes, are more stable than the boats that I have been in. The Boats and Canoes that I have been in were 12-Ft, or less; and, with, or without, an Overboard Motor (like a 5 HP Mercury). The Family's Row Boat with an Overboard Motor, was probably overloaded with 1 or 2 Adults & 2 Children & Fishing Boxes & Fishing Poles. One time the family was in our boat on a lake that was at least 100 Feet deep. Our boat almost got swamped because, some idiot with a Large Bass Boat Rig W/Internal Engine was running along side us; and, my family's boat was getting flooded by the Idiot Boater's Wake. I have been on a 1-Man Sailboat; and, I was its sole occupant. My mother is an overweight person; and, overturned her 1-Man Sailboat; because, she didn't like moving back-and-forth between the sides for balance. Since that day 30 years ago, I have been wanting to own my own Real Life 1-Man Sailboat. Minecraft Boats looks like a Row Boat; and, not like a Canoe. 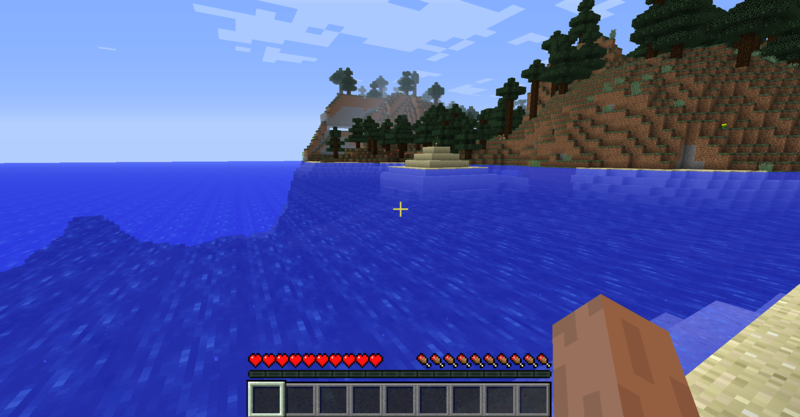 The Maximum Speed of Minecraft's Basic Boat is unrealistic for a Rowboat; but, reasonable for a Motorboat or a Sailboat; even though, Graphically there is no Sail, or Motor, on the Small Boat. 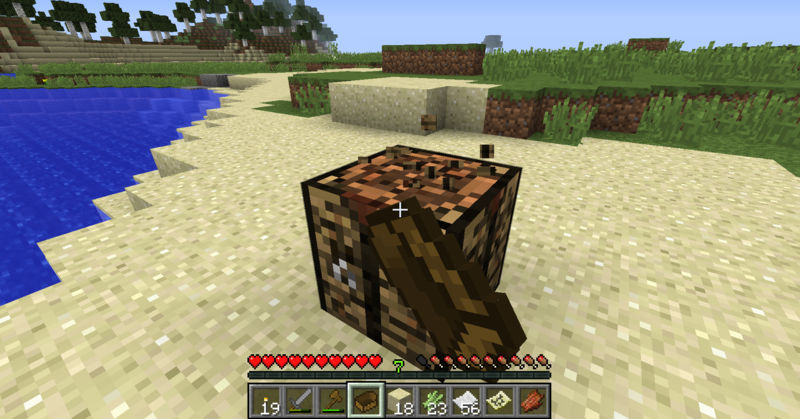 The fragility of the Minecraft Small Boat is ridiculous; but, Real Life Small Row Boats are prone to overturning if one isn't careful; and moreso with Canoes than with Row Boats; because, Canoes are narrower than Rowboats. Alot of people don't have Boating Experience; and, most Real Life Boaters don't engage in the Sharp Turns that Minecraft Boaters frequently, or almost always, engage when when Changing The Boat's Direction. If Real Life Boaters did engage in the same amount of Sharp Turning as Minecraft Boaters do engage in; then, there would be alot more Real Life people getting thrown from Real Life Rowboats; whether or not, the Real Life Boats do Overturn. And, more often than not, Real Life Rowboats don't overturn as the result of Sharp Turns; but, overturn because of Real Life people are falling overboard during a Sharp Turn. As far as "Abandoning Ship" is concerned, in Real Life, it takes Practice & Skill to jump from a Rowboat without Rocking The Boat; or, causing the real Life boat to float away when the Real Life boat isn't anchored. In Real Life, the safest way to "Abandon Ship" in an Unanchored Boat is to Climb Overboard; which, Minecraft's Steve doesn't do. Minecraft s Steve jumps from the Minecraft Small Boat. Even so, Climbing Overboard also takes Practice & Skill from overturning the Real Life boat. I sailed on a small boat and I'm sure it would have survived a 10 km/h crash with a grassy coast with no damage. 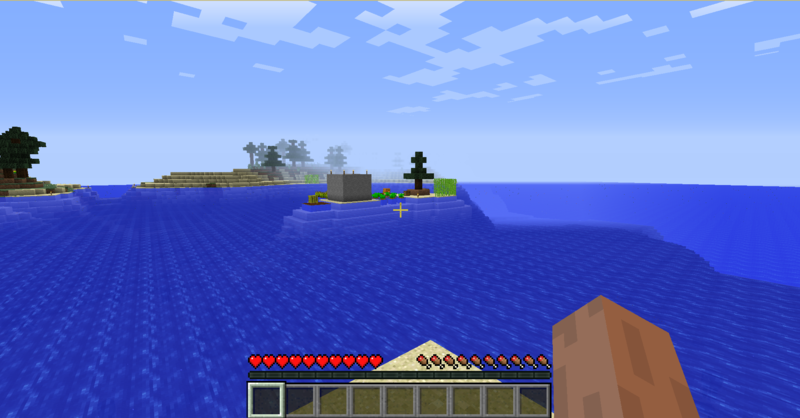 In Minecraft, not only does it breaks the boat but it also doesn't even give the boat back which is completely stupid. Changing only that would be fine but making the boat not break so easily would be better. I wasted at least 12 Maps, and lost about 6 Maps, trying to make this Mega-Map. I never had that kind of problem with Map Coordination in my other Minecraft Worlds; except, when I first started In-Game Mapping and didn't understand how the Map Coordinate System worked. The difficulty difference is probably because my other Game Worrlds' In-Game Maps were Land-Based Maps; and, The Western Ocean is an Open Water-Based Map. With the V1.8 New Mapping Coordination System; maybe, I can finally get a properly coordinated Mega-Map of The Western Ocean. I probably busted over 20 Minecraft Small Boats trying to map The Western Ocean. The Swamp on the Southern Shoreline, where my Swamp Base Site is located, has eaten around 5 of my Minecraft Small Boats. I lost about 12 Minecraft Small Boats just traveling between The Southwestern Base Site and The Mountain That I am Mining. And I wasn't engaging in High Speed Sharp Turns; or, crashing my Small Boat into a Shoreline. However, sometimes the "Abandon Ship" Action does result in the Minecraft Small Boat crashing into the Shoreline; or, cause the Minecraft Small Boat to engage in a High Speed Sharp Turn Maneuver to Drift away from my Avatar for a great distance. Having a Damage Meter for Small Boats would be Helpful. At least then, we would know when to Craft a New Small Boat so that we wouldn't be Swimming in Water due to an unexpected Boat Crack-Up. The Western Ocean has a number of Small Boats floating about due to my Avatar being killed during Exploration Expeditions. I also keep a Small Boat near my Currently Active Base Site in The Western Ocean in case I want to go somewhere else; or, my Avatar gets killed elsewhere and Respawns at my Last Currently Active Base Site. Using a Boat to Break Objects is another surefire way of reducing the Minecraft Small Boat Durability Rating for Waterborne Movement. ?Who uses Boats to Break Objects? I do on occasion; especially, when I am in a hurry to get moving along. For me, the "End Boat Breaking" Issue isn't about having Unbreakable Boats for plowing at Maximum Speed through Lilly Pads; or, for Endless Rammings of Mobiles with Minecraft Small Boats. For me, the "End Boat Breaking" Issue isn't about having Fragile Boats that break every time a Mobile, or a Lilly Pad, is Rammed. I just lost a New Boat from an Accidental Ramming of a Squid at High Speed in Deep Oceanic Water. My Avatar Drowned; and, everything is permanently lost; because, I don't have Cheat Codes for the Game World; and, my Avatar can't make Potions at this time. I was in the process of mapping The Western Ocean within my Isthmus Home Base Game World. The boat is really, truly failing.